"The jobs crisis is PERMANENT, and will NOT go away with better economic times"
WORK'S NEW AGE IN THE NEWSPAPER! MP3s, Podcasts, and Radio Transcripts! Listen any time. Access all on their page. 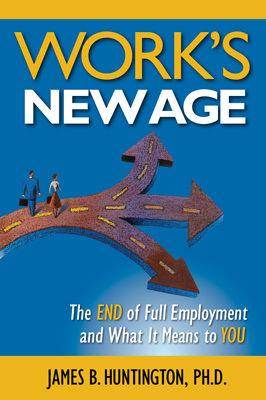 Articles related to Work's New Age! Published since the book was written. See the Related Articles page.